Twist pieces are just that, a twist on all other fabrics. Made of an iridescent taffeta, these linens have a pleated texture and that enhances all your table décor. 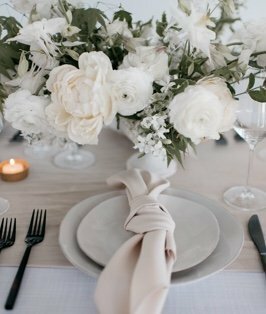 The essence of purity and simplicity, White is not the lack of color, but the quintessential hue that will be the hallmark for any wedding or affair. Put a twist on your next event, and revel in its splendor.